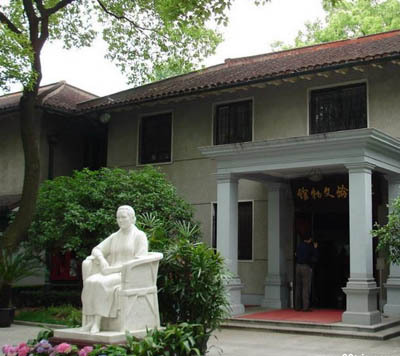 Shanghai Song Ching Ling (sòng qìng líng 宋庆龄) is the former residence of Soong Ching Ling's life long-term local and State activities in the important places. In the main building was built in the early 1920s, the National Government in 1948 this house under the Soong Ching Ling living. Soong Ching Ling in 1949 here gladly accepted the invitation of the Communist Party of China, attended the Chinese People's Political Consultative the north, participation in the formulation of major policies the founding of the PRC, and was elected vice chairman of the Central People's Government. She was here for a variety of State, the regular meetings and entertained visiting dignitaries from various countries, actively promote exchanges between Chinese and foreign, the maintenance of international justice. She created a new culture of maternal and child welfare services in China and foreign publications are also in the brewing here, planning. 1981 after the death of Soong Ching Ling in Beijing, here in Shanghai as the home of her opening to the outside world for future generations viewing. 2001 approved by the State Council as a key national heritage conservation units. Shanghai Soong Ching Ling house is located in the Huaihai Road (huái hǎi lù 淮海路), 1843, from 1948 onwards into the apartments in Shanghai Soong Ching Ling. The entire compound covers an area of 4,330 square meters, surrounded camphor tree surrounded by verdant green all year round, the environment quiet elegance. The three-tier white leave the main building was built in the early 1920s, the Western-style building is brick, the bottom for the living room, restaurants, libraries, the Soong Ching Ling is the second floor of the bedroom, office and Li Yan E nanny's bedroom. Now in the home furnishings remain in the form in which she served. Here is his life and the Soong Ching Ling in the important places of State, during a stroll, it seems that the great man can still feel immortal Yinrongxiaomao and demeanor. Plain Jane of a simple display in the Office of the Soong Ching Ling favorite works of art. 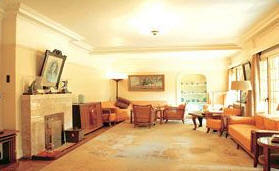 The drawing room is the Soong Ching Ling met with the party and state leaders as well as the guests of the main venues. In this unpretentious little restaurant, the Soong Ching Ling has hosted visiting dignitaries from various countries. 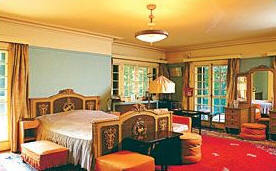 Rattan wood bedroom furniture in the Soong Ching Ling was given to the parents of her dowry. Bayin bell on the fireplace is used by Dr. Sun Yat-sen, now forever remain in the death of a good time: 20:18. 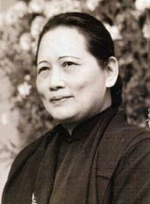 Soong Ching Ling's Office reviewed the documents, dealing with the local State. Here she is playing piano in his spare time favorite recreational one. (May 1956, the former residence of Soong Ching Ling in the lawn with the International Democratic Women's Federation Council representative). South Lawn covers an area of 2,200 square meters, the Soong Ching Ling Chang here to take a walk, and several times in the tea party held here, in honor of the visit to China at international friends. May 29, 1997, is the 16 anniversary of the death of Soong Ching Ling, the day the former residence of Soong Ching Ling Museum and the completion of the hospital opened. Museum exhibition area of 184 square meters, with Soong Ching Ling's life for clues and artifacts to display characteristics of the status quo, from different perspectives reflect the brilliant life of Soong Ching Ling. January 27, 2003, the Soong Ching Ling is the 110th birth anniversary of the day white marble statue of the former residence of Soong Ching Ling Memorial Plaza to be completed and held the opening ceremony. Statue shows her 50-year-old to between 60-year-old's image, very dignified and kind. 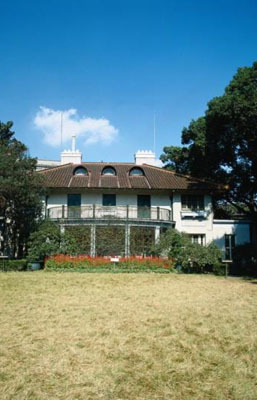 Address: No.1843, Huaihai Road, Shanghai.